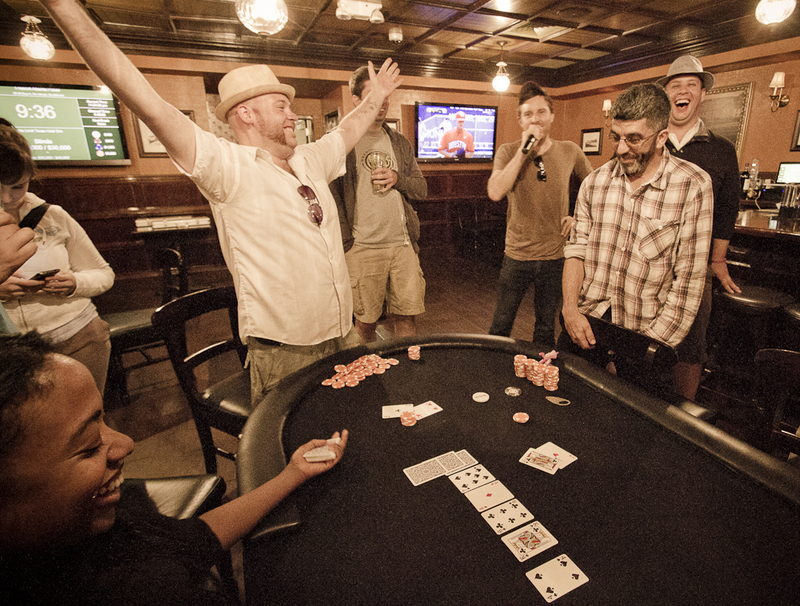 We are Atlanta’s competitive community of card players. For nearly 10 years, Freeroll Atlanta has been bringing folks together around the poker tables. We’re like the best parts of your home poker game, with the structure of Vegas’s best tournaments, with enough stats to keep you busy while you wait to clock out at work. We believe in strengthening our community and helping those who need it. We host benefit tournaments multiple times a year. We’ve raised money for animal shelters, small sports teams, the Children’s Miracle Network, breast cancer research, and most importantly, our players and employees of our venues who’ve suffered injuries. If you’re looking for a community of folks to play cards with, chew the fat with, and cheers some beers, then we’d love to have you come by one of our games! Not to mention, you can also win a trip for you and your buddy to Las Vegas, as well as monthly cash prizes! See you at the tables!